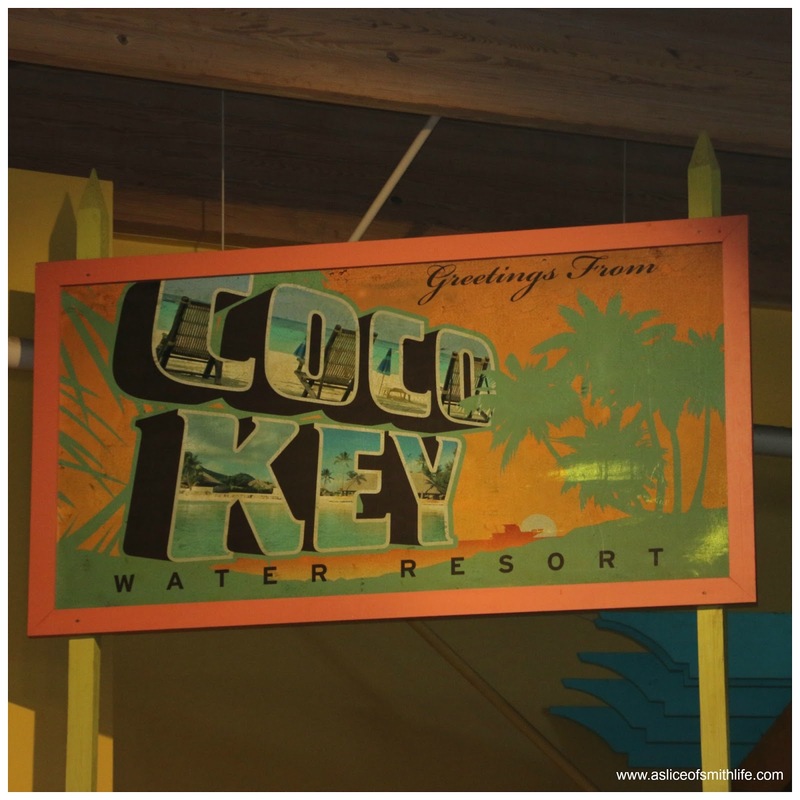 After we got in during the wee hours on Wednesday morning on July 7 and tried to catch up on some sleep after spending the day before at Knoebels Amusement Park, we met my sister and her family and other family members at CoCo Key Water Resort at Boston North Shore which was located attached to the hotel we stayed at for the remainder of our trip. 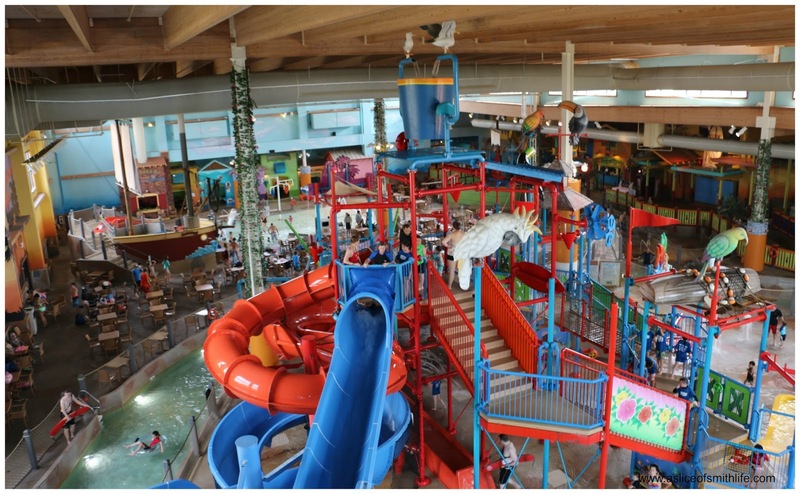 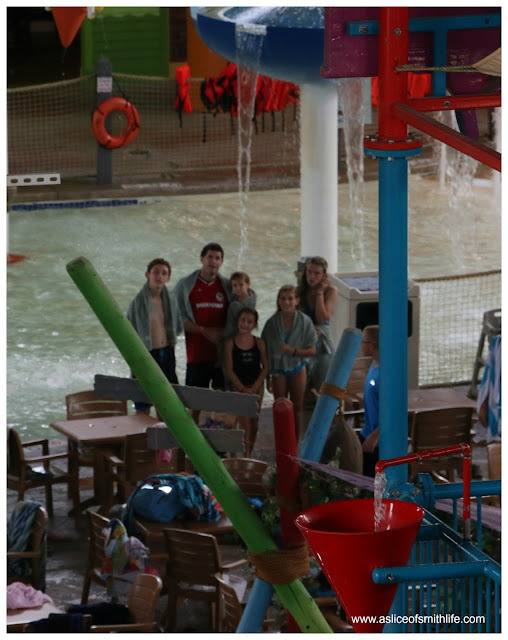 If you have every been to a Great Wolf Lodge Water Park, CoCo Key Water Resort is very similar with a kiddie pool section/slides, lazy river, water slides and water park which is all indoors. 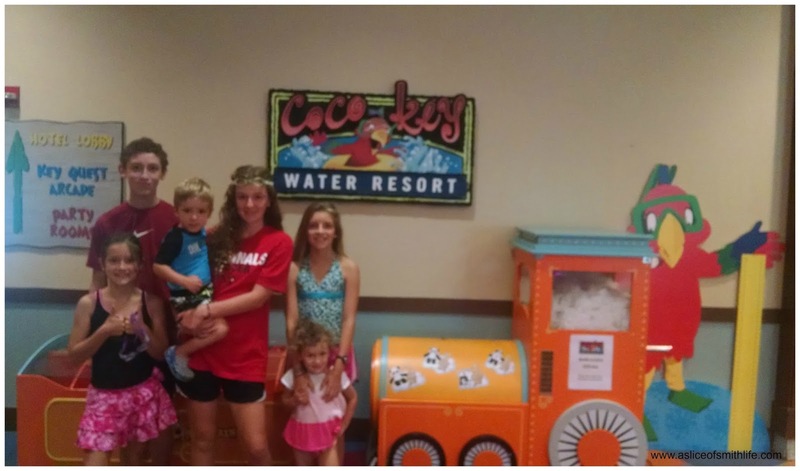 It was very fun and a great way to keep the kids busy and visit with family. Here are a few pictures from our day at the CoCo Key Water Resort. 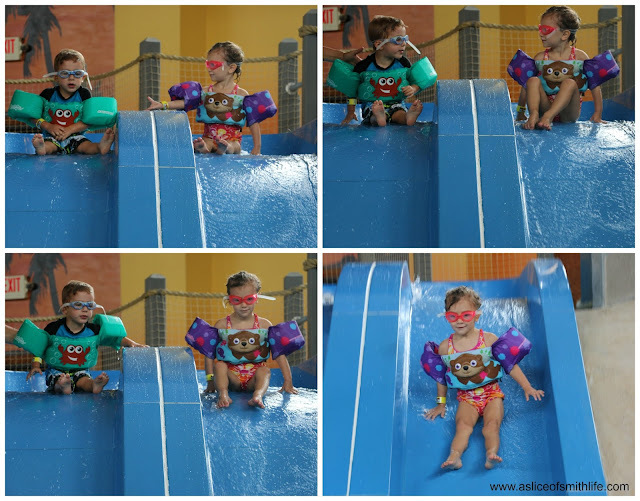 Our daughter loved swimming with her cousin (my younger sister's son) and going down the water slides with him that were in the kiddie section. When we were done, it was time to meet up with other family members for dinner at a restaurant and get rested up to visit the New England Aquarium on Friday, July 8!